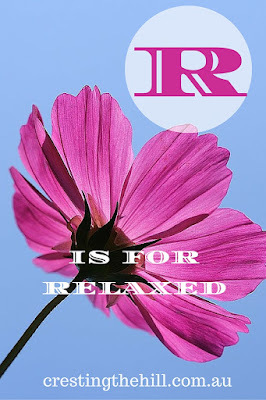 Next letter up for the A-Z challenge of Positive Personality Traits is R - and R is for Relaxed. 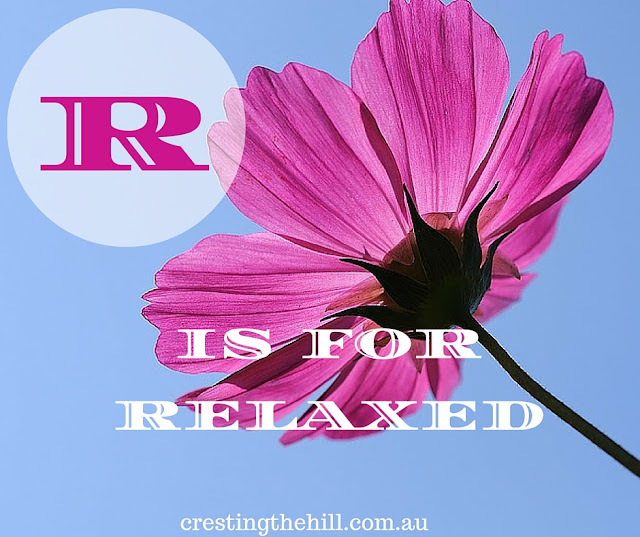 I chose relaxed as a trait because the world is full of uptight people who really need to take a chill pill now and then. There is so much anger and annoyance being shown everyday - road rage, internet trolling, fb shaming and the list goes on. We could all do with taking a step back and a deep breath. So many people feel the need to justify themselves and their behaviour. They get angry if someone "steals" the parking bay they were going to take, if someone pushes in front of them in the grocery queue, or cuts them off in traffic...... and the list goes on. We seem to be manifesting an increasing amount of entitlement and not being very gracious to others. Often our first reaction is to assume someone is trying to do us a dis-service, and maybe it's not that at all, maybe it was a misunderstanding, or an oversight, or just plain bad luck. Instead of jumping up and down and getting hot under the collar, we need to give people the benefit of the doubt and just relax a little bit. Take that deep breath and think before we jump to conclusions. Stress is a huge factor in a lot of the illnesses we see today, by choosing to breathe and to relax a little we free ourselves of some of the up-tightness that has become so normal in our society. Relax and let the person who beat you to the parking spot or to the front of the queue have their moment of "winning" and let it go. There'll be another parking bay, you'll still get served in the check-out queue and nothing will change except your stress levels - which won't be skyrocketing from the encounter. We all need to chill out, think happy thoughts and stop getting upset over things that are out of our control. Relaxing and taking the good with the bad is an excellent way to keep a smile on your face in this hectic world. See you next time for the continuation of Positive Personality Traits - S is for Self-confident. Hi Leanne, I like that you picked this. My husband reminds me to take a chill pill once in a while. :D And its true when I introspect I realise that some things don't need so much of our energy. Life is too short to stay uptight. I did write a post few months ago about this 'benefit of doubt'.I'll paste a link with this.. Very lovely Leanne. Stress is eating up lots of our life and they come free with everything. Good that you posted about Relax. Thanks. Hi Paromita - I think you're right about stress eating up our lives - we all need to take a step back and let some of it go because it's really not good for us. Thanks Kala - and yes the world would be a much lovelier place all round if we relaxed and stopped fighting to always be first! I hate to see people act like that. Everybody is always in such a hurry all the time and usually for no reason. Slow down, take a deep breath, and smile! That's my thinking! There are many who need to take a chill pill Leanne I agree. Everyone is just so uptight these days and ready to jump down your throat! I'm taking a couple of weeks of the three R's Relax, Recover and Restore. I wouldn't mind taking a couple of weeks too Sue - I'll have to settle for a long weekend instead! It always shocks me when people get wrapped around the axle over silly things. Just take a breath and relax, I, too, want to tell them. Everyone is so stressed these days and it's so easy to take offence when none was meant. I think we all need to give others the benefit of the doubt and share a little love around. Ah yes, I could definitely work on this - especially in traffic!! Good read. Traffic is my downfall too - there are so many incompetent drivers out there doing their best to annoy me :) Mind you they seem more annoying when I'm running late, so maybe I just need to leave home a little earlier and relax! Stopping to smell the roses from time to time is sound advice. Although I'm as guilty as anybody of road rage, probably because I'm dealing with all these damn Kentuckians on the road! I think idiots on the road are universal Gary - trust me, there are a lot of them in Western Australia too. I'm trying to be more serene about it, but if one more person tries to reverse into me in a shopping centre carpark I may put all my good advice to the side and have a meltdown! Relaxing can be a challenge sometimes! 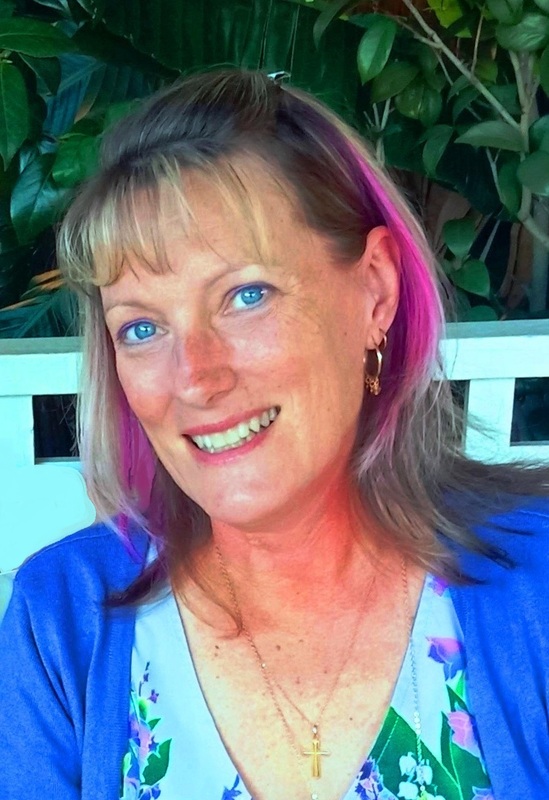 Stressed out and living in the monkey mind is causing all kinds of issues, like some you write about and more including so many health related issues. Thanks for the reminder to relax! I love "living in the monkey mind" I think that might become one of my new expressions :) and yes, we let the stress of life take too much away from our peace of mind and that's quite sad really. I'm definitely not a relaxed person, but I agree it is a good trait to have. I'm not really an angry, uptight non-relaxed person though - I'm a neurotic, anxious type & always have been. Relaxing is something I really need to work on. I used to be really good at it before kids!